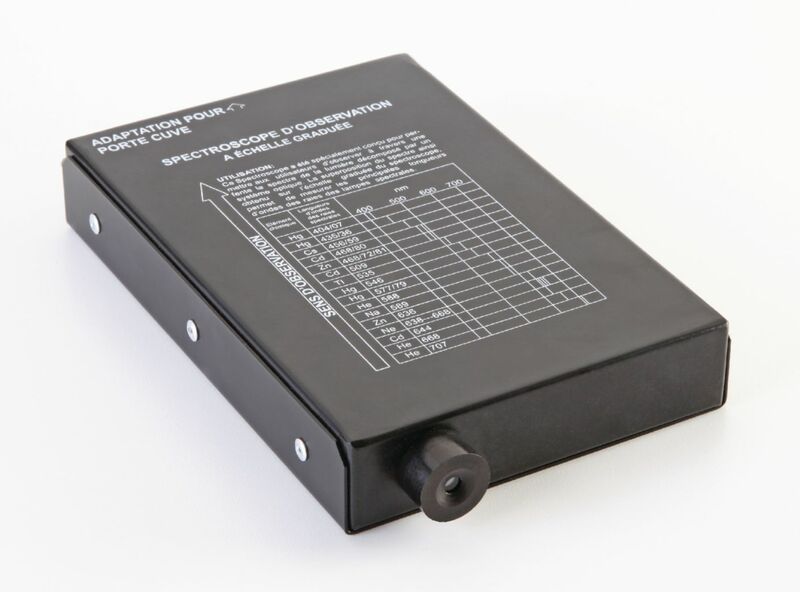 This spectroscope features a holographic replica grating of 600 lines per mm. which enables for detailed analysis through the high quality resolution. Students can calibrate the bright bands of the dominant wavelengths in nanometers using the included internal scale, and also insert and analyze liquid samples with the three included cuvettes.